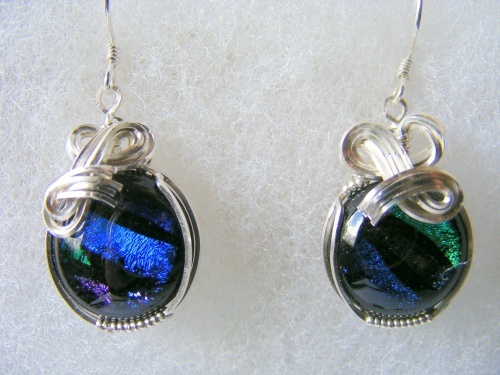 This pretty pair of dichroic earrings have colors that will match almost any outfit with the black, blues, greens and purple flowing through them. They are sculpted with my signature bow like design of sterling silver. Measure 1 1/2" long and 1/2" wide.